What many homeowners don’t realize is that simply redesigning a bathroom can have a big impact on a home’s look, feel, and even value. In recent years, one of the most popular trends in bathroom design is the industrial style, a classy, functional look with a downtown edge. The industrial style is reminiscent of the kinds of unfinished urban accents often seen in downtown cafes and restaurants: exposed brick, old stone, metal pipes, worn woods, industrial steel fixtures, etc. At the heart of the style is a desire to scale down and achieve a sense of modern, minimalist sophistication. Minimalism involves the intentional use of simplistic elements, colors, and textures to create a clean, uncluttered result that homeowners have come to love. 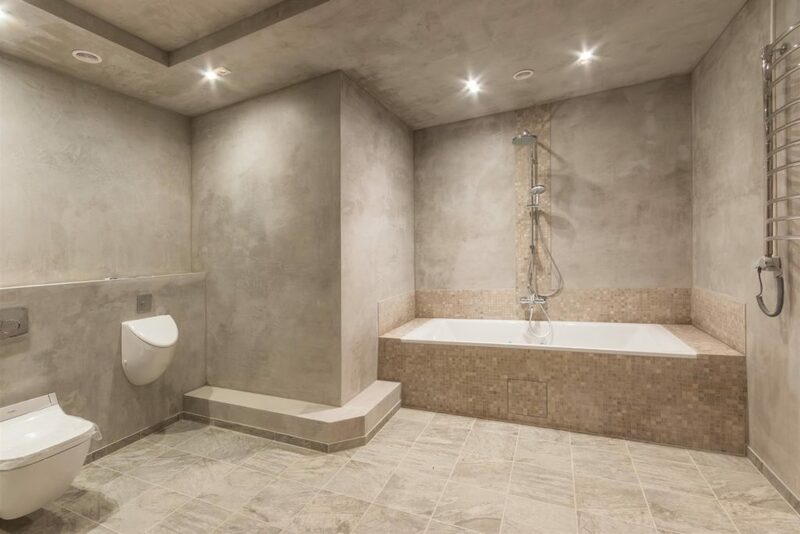 Far from being a cookie-cutter look, the industrial concept can be applied to all kinds of bathrooms in varying degrees. A highly industrial look, for example, might involve poured concrete floors, red brick accent walls, corner shower stalls, and a variety of stainless steel fixtures and accents. A more understated use of industrial elements, on the other hand, might simply involve the replacement of ornate, outdated fixtures and décor with sleek metal and white, uncluttered walls. The most intensive way to bring the industrial style to your home bathroom would be to perform a full renovation, completely re-working the layout of the room and replacing tubs, showers, sinks, and fixtures with authentic industrial/commercial pieces. For this kind of project, walls and floors should use materials like brick, slate, wood, and metal. To bring warmth into the look, use rustic, “weathered” items and warm colors like orange and terra cotta. If you prefer a cooler look, choose stainless steel fixtures and cool neutral stone or tile. If you don’t quite have the budget or the space for a full remodel, there are smaller changes you can make to create an industrial bathroom. Start by updating an old shower or tub with an attractive shower or tub surround to anchor your modern new look. Apply DIY surface tiles in materials like brick, neutral tile, or stone to the area around the surround and perhaps to an adjacent wall for a strong industrial accent. Again, focus on replacing old faucets and knobs with “modern rustic” pieces that incorporate weathered metals. Wherever possible, use metallic and stone accents to create a unique mix of sleek, industrial efficiency and residential comfort—that’s the heart of industrial chic! Give Your Bathroom a Face-Lift with a Tub or Shower Surround from American Bath Enterprises, Inc.
Any home project should start with a strong foundation. In the case of creating an industrial-style bathroom, that means making sure you have a beautiful, functional tub and/or shower before you worry about adding details. 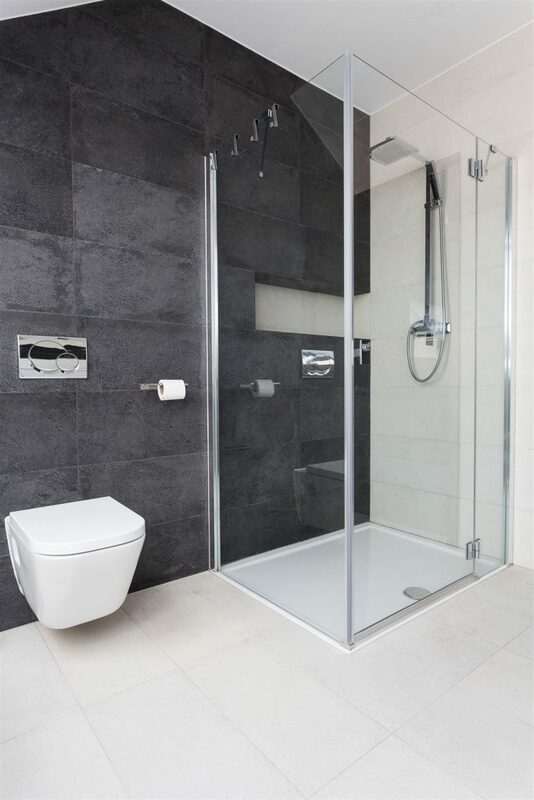 At American Bath Enterprises, Inc., we manufacture and install top-quality acrylic shower and tub surrounds to fit seamlessly and securely over any existing tub or shower without any demolition or plumbing work! You can browse our affordably priced tub enclosures online or call us at (888) 228-4925 for more information.